available for all gas boilers. If you used to think that boilers boil water, then you are wrong. The term boiler was simply a carryover from the past when steam boilers were very common in households. Today's boilers are actually water heaters that typically use natural gas. These boilers can heat water in a range of 145 degrees Celsius to 190 degrees Celsius depending on the radiation system. If you require anyone to install, repair, or service your boiler, then, you must hire an expert who understands how the current boilers work and the common problems they are likely to experience. Eco Efficient has experts who can help in diagnosing and fixing different boiler problems as well as servicing the appliance. According to boiler engineers at Eco Efficient, boilers provide radiant heat that heats up the items in a room. Every boiler has a thermostat that you use to control the required level of temperature in a room. You can set the thermostat at a lower temperature, and the radiant heat makes the room feel warmer than the actual temperature. This is one of the main reasons boilers are more preferred than forced air furnace. Additionally, boilers are believed to provide a balanced heat throughout the home during the cold winter season. To get the optimum performance from your central heating boiler, experts recommend that your boiler should be serviced at least once every year. Additionally, most boiler manufacturers and dealers require the boiler to be serviced annually to keep it warranty valid. Some insurance companies also have this requirement. If you have been looking for a reputable and affordable boiler servicing, then, Eco Efficient is here to help. In addition to boiler servicing, here are the other services we offer at Eco Efficient. Boiler repair: As you continue using your boiler, the chances are that some of its parts will be exposed to tear and wear. With time, these parts might require repair or replacement. At Eco Efficient, we provide our clients with a perfect chance to get their boilers repaired by professionals. Our experts focus on making sure that your boiler is running efficiently. Boiler installation: You already know that a boiler should be installed by an expert. 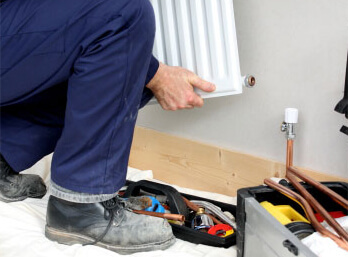 Even if you’re one of the DIY enthusiasts, it’s advisable to get your boiler installed by an expert. This is because boilers are highly complex appliances with numerous components. These components work together and some of them are electronically operated. Thus, having an expert install the appliance increases the chances of getting your boiler installed properly. Central heating installation: Installing a central heating system isn’t an easy task. It requires an expert who understands different components of the system, how they work, and how they should be installed. In addition to technical know-how, the expert should have all the necessary tools, equipment, and technology necessary for a successful completion of the central heating installation. At Eco Efficient, we have experts with the right skill set and the required tools to successfully complete the installation process. Central heating repair: Repairing a central heating system requires expert knowledge of how different components of the system work. The process should be completed by an expert. At Eco Efficient, we have an extensive pool of highly train central heating repair engineers. Gas and boiler leaks: if you have ever witnessed what gas leak can do to a home, then, you already understand that it’s not one of the things you may desire. When gas is exposed to fire, violent explosions are inevitable. Such explosions are associated with loss of life and in most cases destruction of property. As soon as you realize that there is a gas leak in your home, you should contact Eco Efficient to get the issue sorted out. Boiler leaks result in increased energy bills. 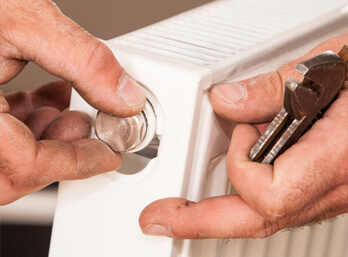 Our experts will help you repair the boiler and keep the heating bills low. 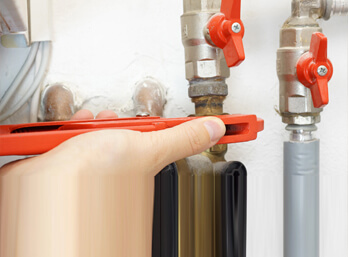 Eco Efficient has many decades of experience in the boiler servicing industry. The quality of the services we provide is exceptional, and we charge pocket-friendly prices for such services. We have also set up a sound service delivery framework to enhance the quality of the services our customers get. From the time you request for our services up to the time our engineers finish the task, you will be treated professionally. Our professional engineers are also kind, and they will guide you where necessary. Besides, they will discuss the entire task at hand with you and explain how they will perform it. This will help you to understand what the engineers will be doing and what you are paying for.